The North Bay Fire Department is warning this weekend of the dangers of extension cords, which are not designed to function as a permanent means of wiring. They are designed as a temporary means to provide power and when the task is complete, store the cord where it will not be subject to mechanical damage. If you see that your extension cord has mechanical damage, it must be replaced as any interruption in the plastic insulation could lead to arcing activity and the arcing is what starts fires. "We investigated a significant loss where the home fire started due to an overloaded extension cord that failed at the male/female connection where the most resistance occurs, " Fire Prevention Officer Randy Vezina told BayToday. "The extension cord was placed behind a couch and was permanently supplying power to an electric fireplace and eventually the cord overloaded, melted and arced and the material first ignited was the back of the couch," Vezina said. The misuse of extension cords has contributed to increasing reports of electrical fires in Ontario over the past year. fires in Ontario associated with the misuse of extension cords. The Electrical Safety Authority warns consumers to use extension cords safely - follow these important rules. Select the appropriate cord for the application. Not all cords are created equal, some are designed for exterior use, others interior use only, some for hard usage in wet locations, others not. Flexible extension cords must never take the place of permanent wiring; they are not designed or intended for permanent installations. Once the task has been completed, the cord should always be disconnected and properly stored away for future use. 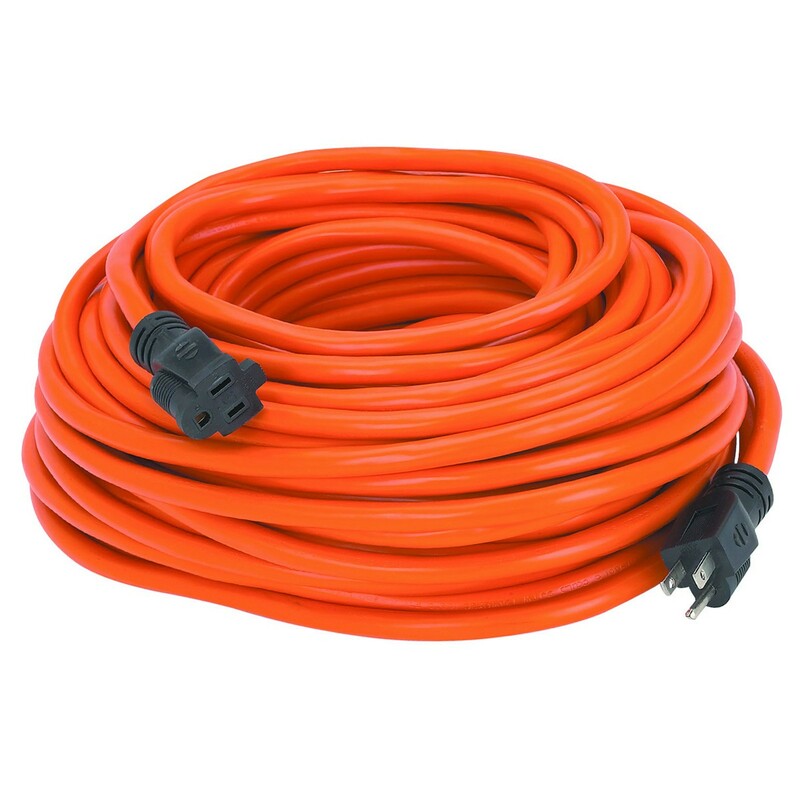 Always follow the manufacturer’s instructions.Failure to use and maintain extension cords in the manner they were intended may create a fire or shock hazard that puts you or your family at risk.  Will I use the cord indoors or outdoors?  What is the total current or wattage rating of the appliances I'll use with the cord?  How far is the nearest outlet from where I'll be working? Will I use the cord indoors or outdoors? a small price to pay for safety. The Ontario Electrical Safety Code requires all receptacles on residential properties located outdoors, below 2.5m be ground fault circuit interrupter protected. 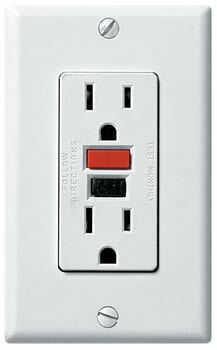 Please ensure that all portable electrical equipment used outdoors has GFCI protection, your life may depend on it. What is the total current or wattage rating of the appliances I'll use with the cord? Extension cords are labelled with valuable information as to the use, size, current and wattage rating of the cord. on the American Wire Gauge (AWG) System, in which the larger the wire, the smaller the AWG number.